Ride high with this notch styled moto leather jacket. 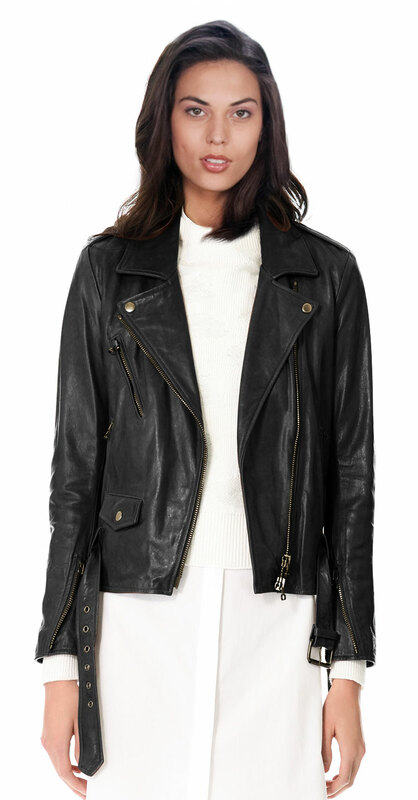 Made from soft lambskin leather, the jacket is a must pick for every woman biker today. The primary highlights of this jacket include notched collar, short length, bohemian styled, epaulets and more.